P. Jaye Rippley is a member of the Energy and Minerals Project Practice Group, and practices out of the Casper office. Although P. Jaye has broad general transactional experience, her practice focuses on representing companies in front of the Wyoming Oil & Gas Conservation Commission, oil & gas transactional, oil and gas financing, acquisition and divestiture, and commercial transactional matters. P. Jaye also has significant experience in handling residential foreclosures. P. Jaye obtained her undergraduate degree in Anthropology from the University of Wyoming and her J.D. from the University of Wyoming College of Law. P. Jaye then spent twenty years practicing with the law firm of Brown, Drew & Massey, LLP. She joined Crowley Fleck in 2012. P. Jaye has represented clients in oil and gas acquisitions and divestitures totaling in the hundreds of millions of dollars over the last 10 years from negotiation of PSAs through due diligence, closing, and post-closing filings. 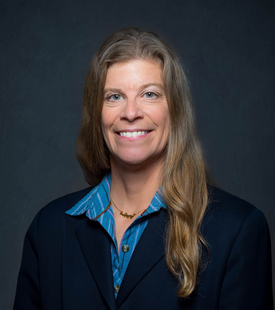 Recently, she assisted a client with all permitting aspects for a $10,000,000+ 3D seismic project, and helped another successfully plug and abandon a foreclosed coalbed methane field, resulting in the client receiving full return of bonding and generally navigating through the dangerous waters of distressed oil and gas properties. She appreciates the close relationships she is able to build with her clients as she guides them through some of the most exciting and stressful times of their professional careers. P. Jaye has enjoyed many public service opportunities including past presidencies of Seton House, Meals on Wheels, and the League of Women Voters. P. Jaye was honored to serve the Seventh Judicial District as its bar commissioner for six years. She most recently served members of the Wyoming Bar as a trustee of the Wyoming Lawyer’s Health Benefit Plan Trust.